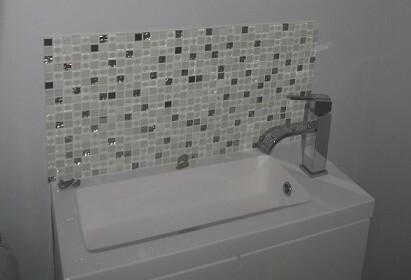 "Karl recently spent 3 weeks gutting and completely re-doing our bathroom and we are extremely pleased with the results. We now have exactly the bathroom we wanted and with Karl's helpful suggestions throughout, it came in on budget and far more luxurious than we thought we could afford. Karl is a lovely man and extremely tidy. It was a pleasure having someone in the house who tidied up each night and took all of the rubbish away! I would thoroughly recommend Karl to anyone wanting a new bathroom and we will be asking him back to other jobs in the future." "We have used Karl to carry our 3 projects over the past years. On all occasions, he has completed the job to a high standard of professionalism, with a great attention to detail. He is a clean and tidy worker, which is not something that should be overlooked. Karl also acts as a great consultant when mulling over options on projects - with some excellent ideas and good trade contacts when sourcing materials. We have no hesitation in recommending Karl, and we would use him on future jobs." "Karl has worked for us in two properties over the years and completed both bathrooms to a high standard, as he has worked we also got him to complete a bedroom decoration and fencing repairs and as we have got to know his skills we have taken advantage of this and he has carried out all to a high standard, a very friendly and professional individual service and would recommend"
Mr & Mrs Downing, Gosport. "Karl has completely replaced 2 bathrooms and 2 cloakrooms in our house over the last few years, including plastering, tiling, plumbing and electrics. His work is excellent, he is clean and tidy and causes minimum disruption to the rest of the house. With his extensive experience, Karl's advice has been invaluable to enable a practical and quality outcome. I would definitely recommend him." "Karl has refurbished our two en-suites and cloakroom recently, and we would recommend him to anyone. His attention to detail is excellent and his all round workmanship second to none." Sheila and Brian Sexton, Lee-on-the-Solent. If you have any questions or would like to book an appointment please email, phone or complete the form on my contact page.